The Role of a Guardian Ad Litem in Child Custody Cases | Kearney, Freeman, Fogarty & Joshi, PLLC (GAL) as “a guardian, usually a lawyer, appointed by the court to appear in a lawsuit on behalf of an incompetent or minor party.” During your divorce and child custody case, it’s important to understand what a GAL does, his duties, when one is appointed, and why he’s needed. Usually, Virginia family courts prefer not to hear testimony directly from a child, as it can place undue stress on both child and parents. So, a GAL is a court-appointed representative, advocate, and objective observer to speak on behalf of a child in court. However, the duties of a GAL include more than speaking for the child. Conducting interviews with the child. Although it’s possible a judge may not honor a child’s wishes, she will take into account what the child wants. A GAL can help family courts decide what’s in a child’s best interests by asking that child about her impression of her parents, her relationship with her parents, how she lives, and how she likes her environment. Conducting interviews with the parents. Through this interview, a GAL attempts to get a complete picture of the child’s relationship with each parent. A parent may be asked to describe his relationship with the child, his parenting style, his relationship with the other parent, and the child’s daily routine. GALs hope not to hear either parent speak poorly of the other. Conducting interviews with other involved adults. What teachers, pastors, babysitters, and extended family members see is also important to a GAL. These perspectives are an important component of gaining a complete picture of each parent’s relationship with the child. Making home visits. Seeing a child in each home environment—with each parent, in her room, and going about her daily routine—is an invaluable piece for building a recommendation for the court. Investigating reported problems. If there are any accusations of neglect or abuse, a GAL must investigate these by conducting interviews with family members, speaking with police, and asking the child. When Does a Court Appoint a Guardian Ad Litem? In some cases, it could be prudent for one parent to request the representation of a GAL, since his findings might align with the wishes of that parent. 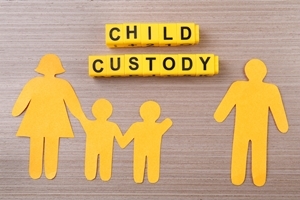 For example, if you want custody to keep your child safe from an abusive ex, a GAL might be able to find evidence that would support your case. How Should Parents Interact With a Guardian Ad Litem? If you need help in your child custody suit or have more questions about the GAL appointed to your case, the legal team at Kearney, Freeman, Fogarty & Joshi can help. We’ve served our community and worked with families for decades, and we’re available now to speak with you. Start a live online chat on our website to speak with a member of our team.